Authors: We engineered literally thousands of large genomic deletions in a single experiment. Function aside, that was just a cool thing to have succeeded in. What we learned from the assay was interesting as well, in that there wasn’t a single element in our screen outside of the exons that was essential for the gene’s function. It’s important to validate CRISPR screens like this to make sure the programmed deletions are truly what’s responsible for the effect on the cells – in this case, drug resistance. When we did this, the results came to life even more. We observed with high resolution that even deletions that go very near the transcriptional start site of HPRT1 are still tolerated by the cells. Authors: We only interrogated a single locus, so any biological claims from this paper must be limited to HPRT1’s expression in this cell type. However, we hope our method will be applied more broadly to understand the role of noncoding sequence in other disease genes’ expression, too – essentially scanning vast amounts of the genome in a multilayered way for functional importance. The benefits of generating more datasets like this are twofold to the human genetics community: 1) we’ll better understand noncoding mutations’ role in affecting any one disease gene, and 2) after enough loci are interrogated, we’ll know more about how the role of noncoding sequences varies across gene categories, cell types, and disorders. Authors: Where you can, design experiments where the result is going to be interesting no matter which way it turns out. In this case, we asked a question and got what was effectively a negative result. Importantly, a negative result is not at all the same as a failed experiment (i.e. a technical failure). Obviously, we would have been delighted to discover critical distal regulatory elements, but apparently there aren’t any across the region that we scanned. But that’s still really interesting! Perhaps more so because it’s not what we expected. Too often, technically sound, negative results go unreported, and that doesn’t do anyone a service. Authors: Outside of the lab, Molly hangs out with her baby nephew, listens to Motown music, and helps organize the local and national Communication Science Conventions. Greg enjoys biking around the city, exploring nature, and watching sports. Jay’s life these days consists solely of chasing after his three kids, chasing after his lab, and absorbing Game of Thrones theories. A highlight for the whole Shendure lab is the annual retreat to the Cascade mountains, which provide the perfect backdrop for re-energizing, brainstorming the next wave of experiments to try, and having fun with colleagues. Jay Shendure, MD/PhD, is a Professor of Genome Sciences and Principal Investigator at the University of Washington. 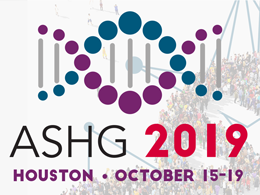 A member of ASHG since 2009, he received the Society’s Curt Stern Award in 2012 and currently serves on its Awards Committee. Molly Gasperini, Graduate Student (Genome Sciences) and 2016 Epstein Trainee Award recipient, and Greg Findlay, MD/PhD Student (Genome Sciences), belong to the Shendure Lab.